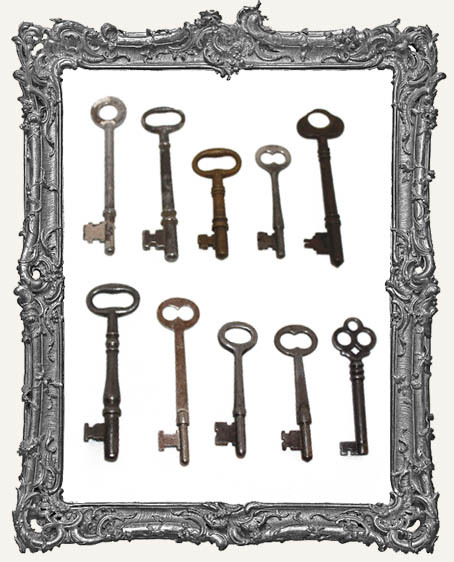 * You will get ONE large skeleton key selected at random. * These are the real deal, authentic, nice heavy metal. * Sizes range from 2.5" - 4". * No two are the same! Order several for a nice variety! * Excellent for so many projects. A mixed media staple with a nice small price.